It’s the middle of July and you’re lounging on your couch, enjoying some ice cold water and watching television. You decide to go check the mail and the energy bill is inside. You’re so shocked you almost drop it! Here are a few ways to keep your energy bills from ruining your lifestyle — they’re simple adjustments that don’t require a significant investment of money and won’t compromise your standard of living. Double check all of your vents and make sure they’re open. It’s natural to just assume that the vents are open. If the vents are closed, the air conditioner will struggle to keep your place cool. If you keep your vents closed, your energy costs will go way up. While you’re checking each vent, make sure to clean them. Vent use air filters to keep dirt and dust from blowing through your home. If they’re not replaced regularly, they’ll prevent proper airflow. You can buy packs in bulk for $2 or so, but make sure to measure your vents so you get a proper sized one. 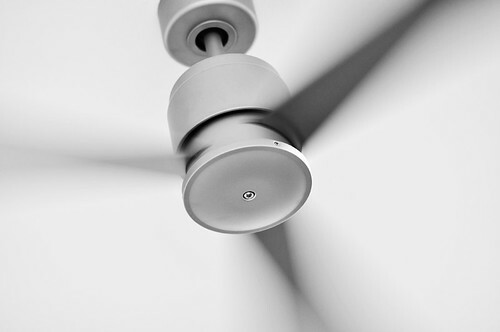 Fans require far less power than air conditioners or heating systems. The problem with fans, though, is that they don’t cool down a room, they just cool the people in it down by moving the air around. You need to position the fans in the way that you want the air to go. Remember, heat rises, so when it’s hot outside, you want to push the air up, and when it’s cold, you want to push the air down. 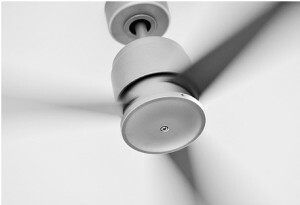 To push air up, make sure the fan is spinning counter-clockwise, and to push it down, the fan should be spinning clockwise. The heating in the washer uses about 90 percent of the energy your washer uses, so wash your clothes in cold water. As an added benefit, cold water doesn’t cause colors to run quite as easily as hot water, so you won’t have to separate lights and darks, reducing the amount of work you have to do. It’s one of the few times in life that being lazy pays off. Some power companies offer discounted rates during non-peak hours, and with the power to choose in Texas, you should call and make sure that your company does. Off-peak hours usually begin at 8 PM. The combination of doing your laundry late at night while using cold water and not having to separate lights and darks leaves you with no excuse for putting off doing the laundry any longer. Most machines have a heated dry method that you can disable, but instead of using that method to prevent water spots on your dishes, you can use something like Jet Dry. Rinsing agents make the heated dry mode redundant. If you haven’t used a rinsing agent before, now’s the perfect time to try. There’s a small circular cap on the dishwasher’s door. If you unscrew it and load it up with rinsing agent, then stop it when it enters the heated dry stage, your dishes will dry on their own. This is something that everyone is probably guilty of — improper dishwasher loading. The bottom rack is for plates and they should face into the center of the dishwasher. Utensils go in their own specially designed carrier rack. Bowls and cups go in the top row of the dishwasher. Both cups and bowls should face downward, with bowls at a slanted angle. Make sure nothing is placed parallel to the dishwasher door as this could prevent the dishwasher from properly cleaning your dishes and make you have to run the dishes again, resulting in more energy wasted. This should go without saying, but rather than putting items in standby or sleep mode, just power them off completely. Video game consoles, desktop computers and television sets are the biggest offenders. If you have them plugged into a power strip, just shut the power off when they’re not in use. There’s no reason to keep game consoles and televisions in standby mode if you’re not using them. If you still find that your bill is high, it’s time to get an energy audit. Some electric companies offer free energy audits. They’ll come into your house and tell you what devices are using the most energy and how you can save money. You don’t have to go out and spend hundreds of dollars just to save a few bucks on your next energy bill. Just follow a few of these simple tips and you’ll quickly notice your wallet becoming heavier!